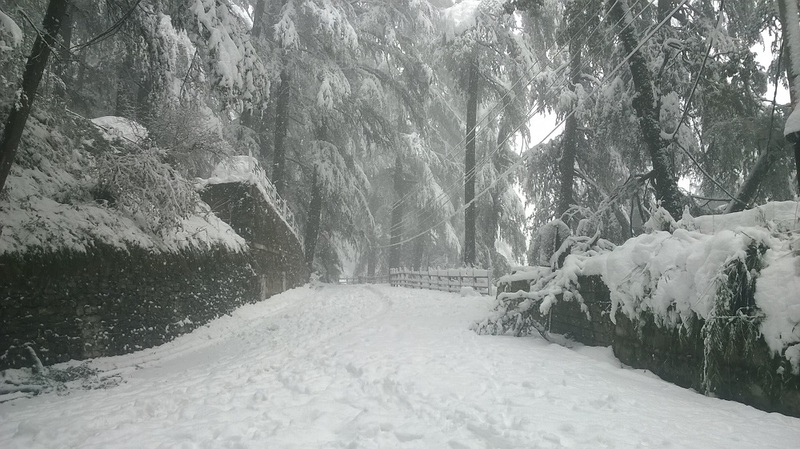 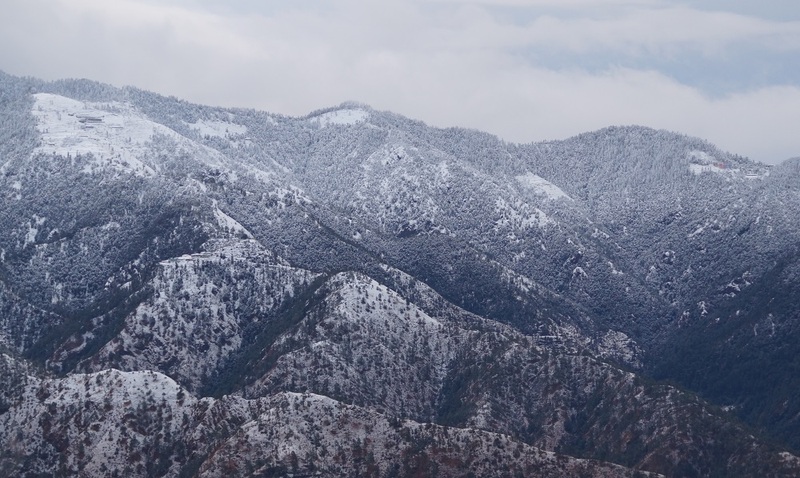 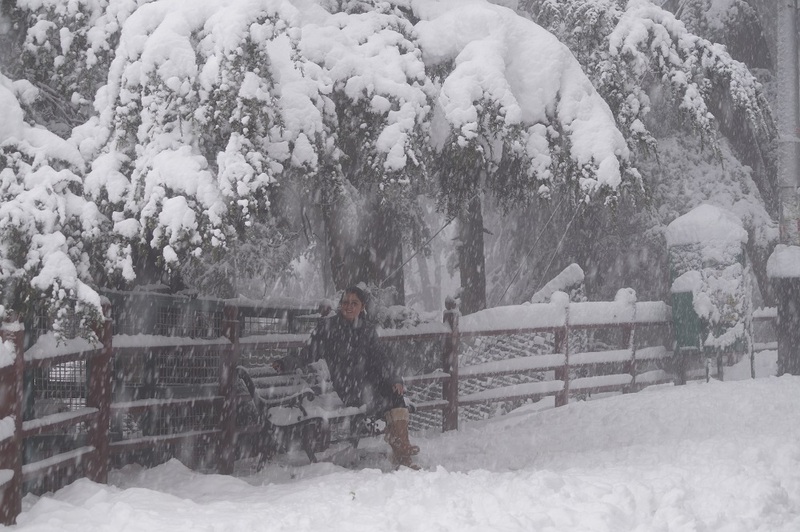 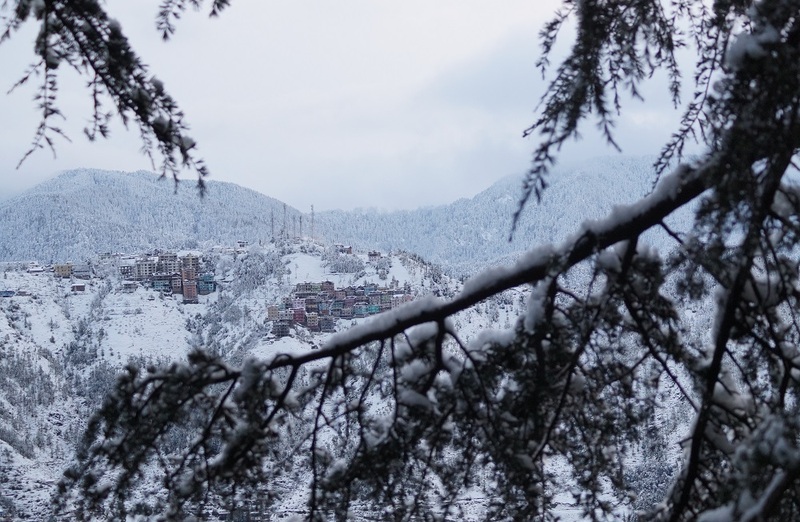 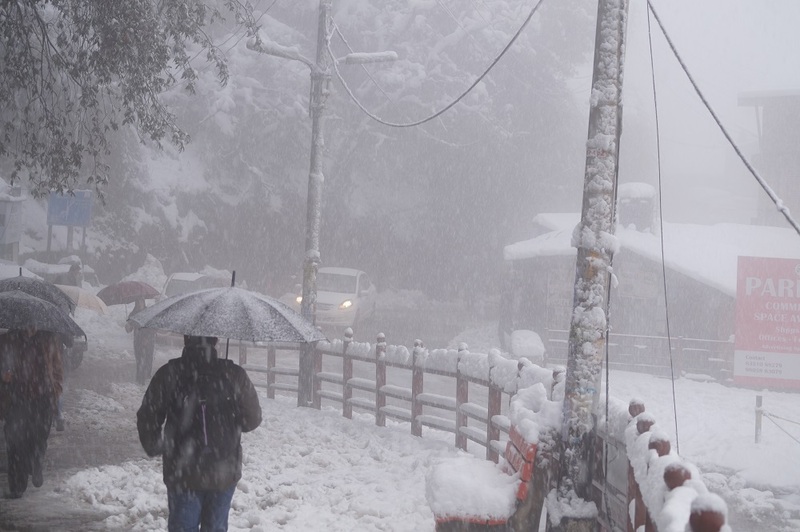 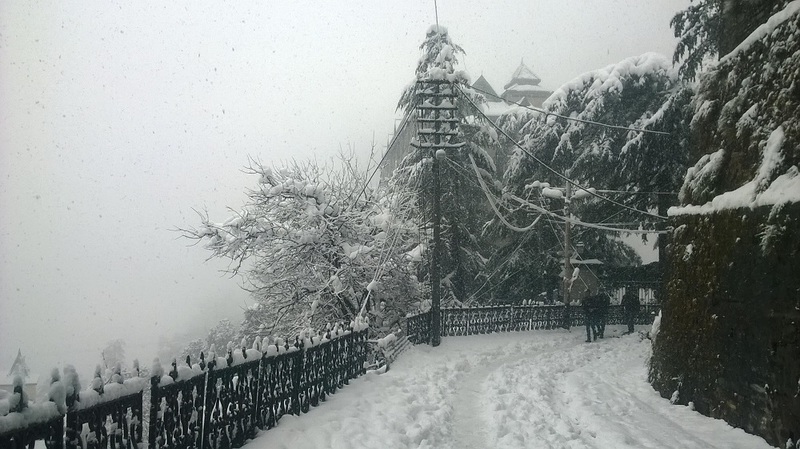 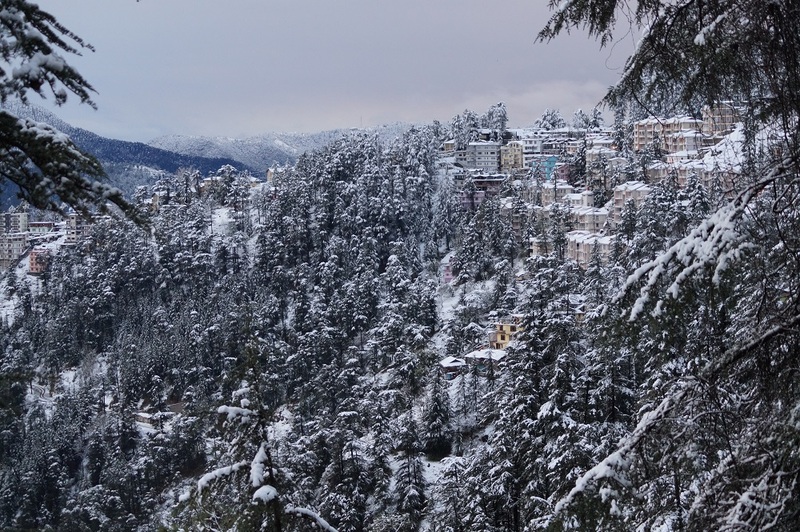 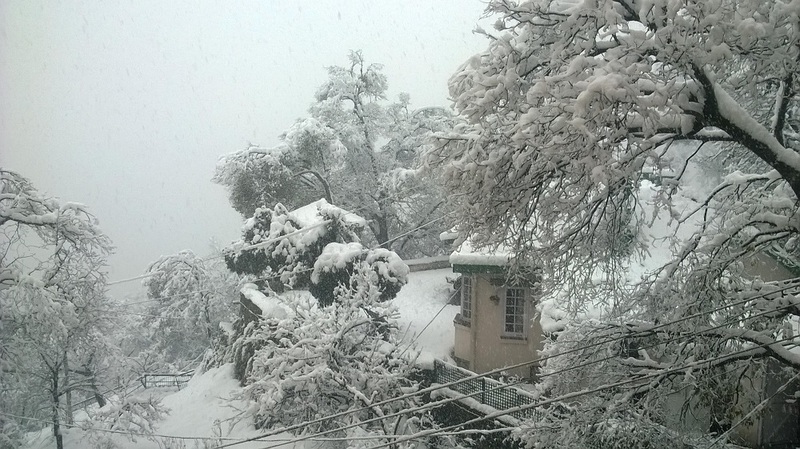 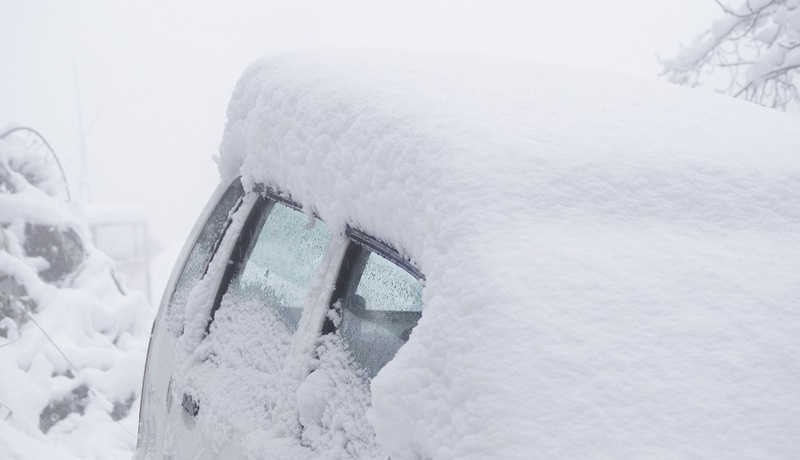 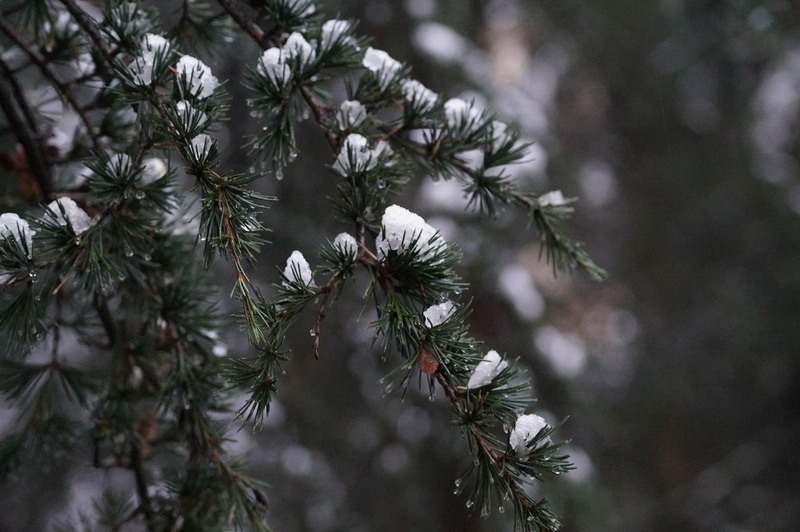 Shimla and other parts of the state receives season’s first heavy snowfall. 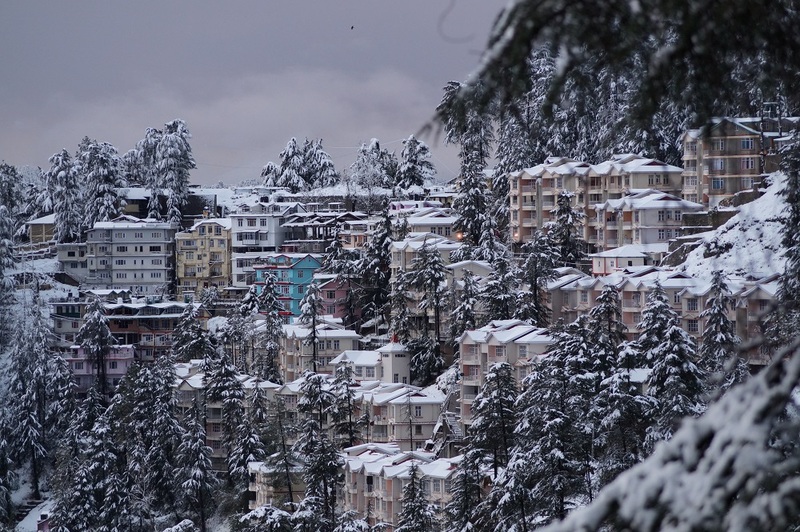 Shimla and other tourists’ destinations have cut off from the rest of the state. 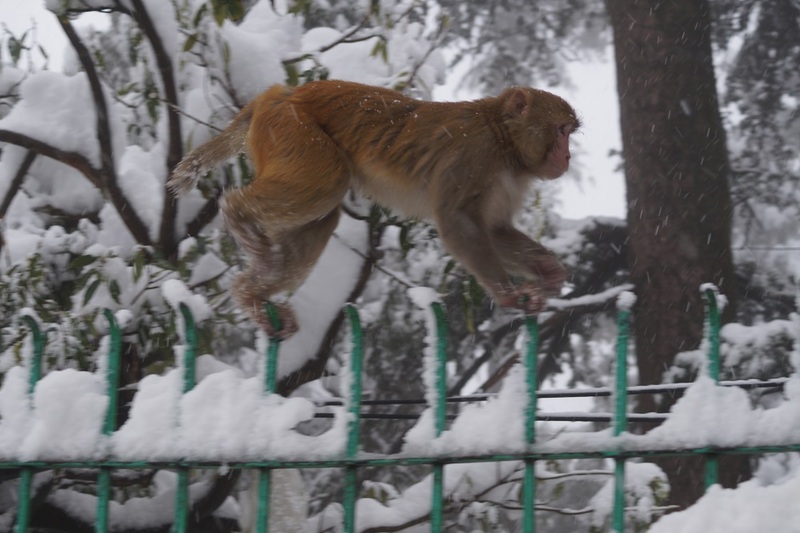 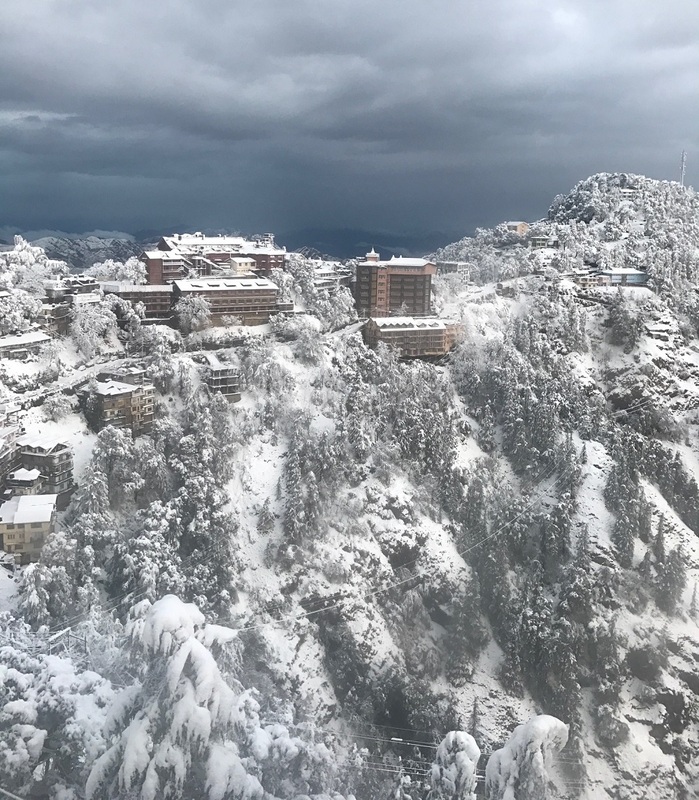 The first heavy snowfall of the season in Shimla and upper reaches has thrown normal life completely out of gear as traffic, telecommunication links and supply of power and water were disrupted while a large number of tourists were stranded in Shimla, Kufri, Manali and other tourists’ destinations. 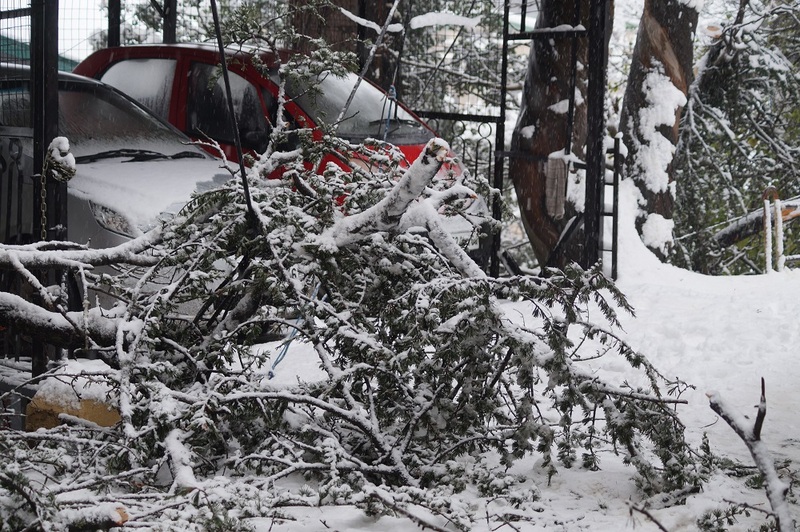 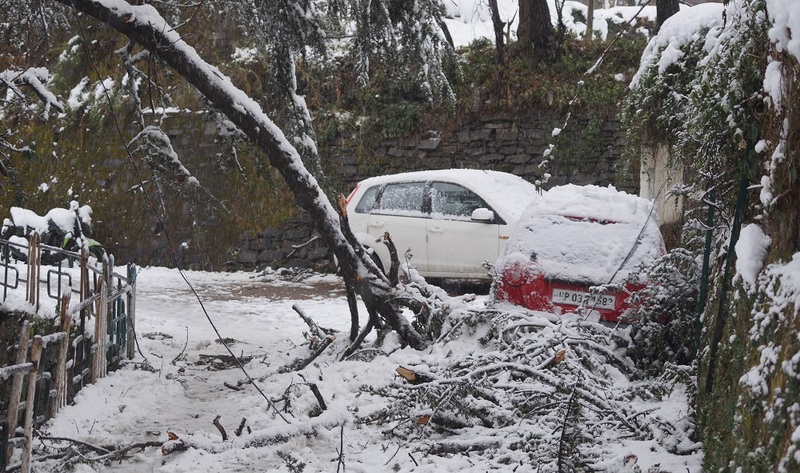 Essential commodities like milk and vegetables did not reach Shimla while heavy snow uprooted trees, snapped overhead power transmission lines and disrupted telecommunication services. 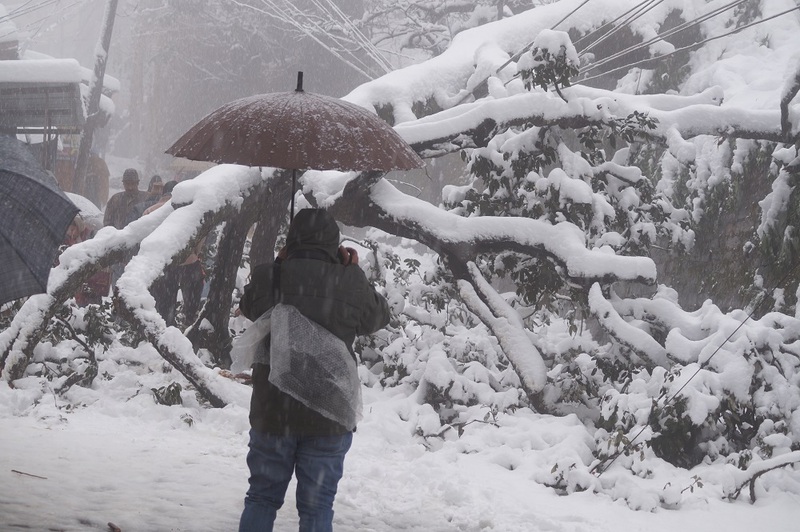 State electricity board engineers and workmen were trying to restore power but it was not an easy task amid the continuing snowfall. 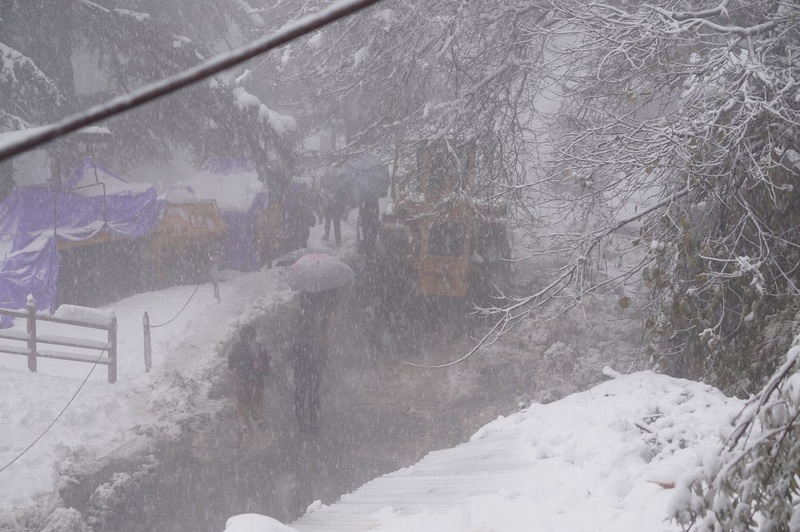 MC Shimla and PWD were also working hard to open the road for vehicular traffic, but due to the heavy snowfall right now it’s not going to be an easy task for them. 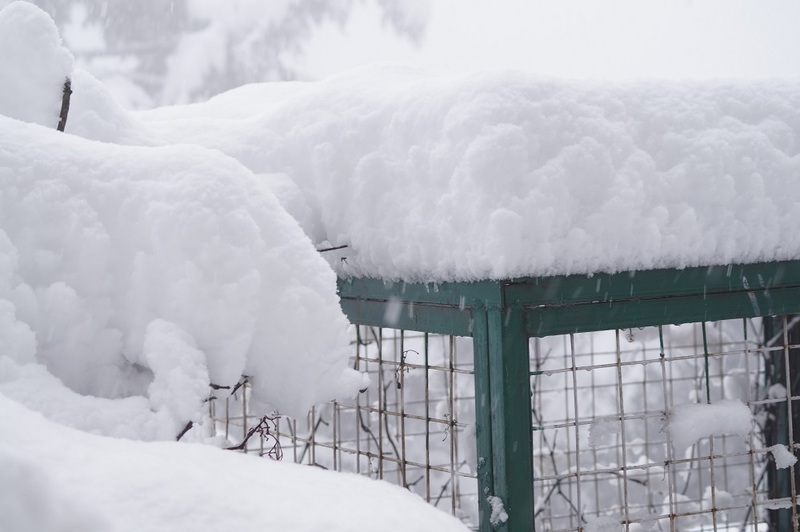 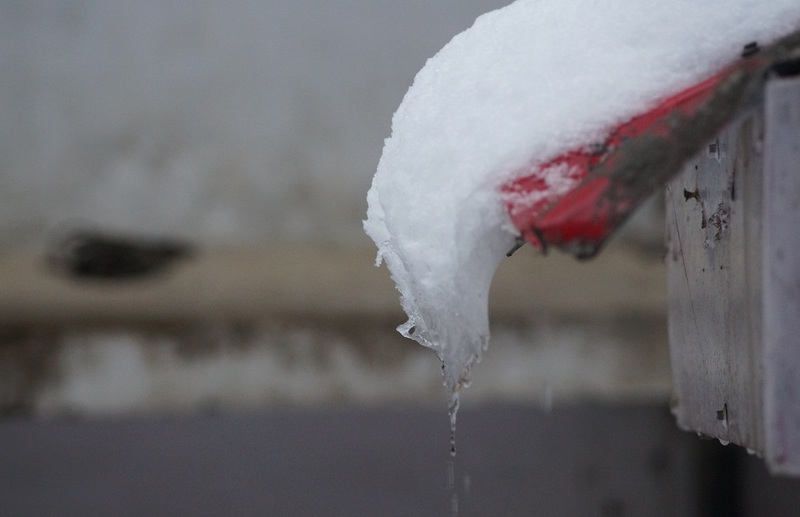 The snowfall has brought cheers to apple growers as it is considered white manure for the produce.